September 2016 | Florida Law Advisers, P.A. While many types of debt are dischargeable in a Chapter 7 or Chapter 13 bankruptcy, certain debts are not dischargeable, such as student loans in bankruptcy. Unfortunately, no part of your student loans are able to be discharged, no matter which chapter of bankruptcy you file. Bankruptcy law provides that student loans in bankruptcy are one of the several non-dischargeable debts through bankruptcy. See bankruptcy law 11 U.S.C. § 523. 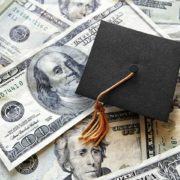 However, there is one exception to this non-dischargeability rule: if you prove to the court that you suffer from an “undue hardship,” you may be able to have your student loan debt discharged. This “undue hardship” usually pertains to debilitating medical conditions, but could be from a different form of hardship. Proving undue hardship can be difficult, if you need assistance with student loans in bankruptcy it is highly recommend to retain a Tampa bankruptcy law firm to assist you. In bankruptcy case Brunner v. NY State Higher Educational Services, the Undue Hardship Test was established for student loans in bankruptcy. Under the Brunner test, in order to have student loan debt discharged, the debtor must prove that (1) he or she cannot maintain a “minimal standard of living”; (2) the debtor is undergoing special circumstances beyond the debtor’s control, and those conditions are likely to continue throughout the student loan repayment period; and (3) the debtor has, in good faith, tried to repay the loan. If you can satisfy all three of those requirements, a judge may declare your student loans in bankruptcy are dischargeable. Passing the Brunner Test for student loans in bankruptcy can be difficult. Therefore, if you need assistance with student loans in bankruptcy contact a Tampa bankruptcy lawyer for assistance. Additionally, student loan payments are not considered an allowable monthly expense under the Means Test. Student loans in bankruptcy are often not considered in the Means Test because (1) the Bankruptcy Code does not allow it; and (2) most bankruptcy judges do not look at student loan payments as an expense this is “reasonable and necessary” for the maintenance of yourself and your dependents. If you try and include your student loan payments in your Means Test calculation, a judge will most likely kick it back for recalculation, or the inclusion of the expense may even cause you to fail the Means Test and not qualify for Chapter 7. Including such payments in your Means Test calculation also establishes a “presumption of abuse,” which allows a court to dismiss your case. The Means Test can be difficult to master, especially if you have a case involving student loans in bankruptcy. You should consult with a Tampa bankruptcy attorney for assistance with the Means Test. If you are having a difficult time meeting your financial obligations Florida Law Advisers may be able to help. The bankruptcy attorneys at our firm have years of experience helping people just like you to solve their financial problems and obtain a fresh start. We have many options available that can help you successfully manage student loans in bankruptcy and regain your financial health. Regardless if you need help with Chapter 13, Chapter 7, or other debt relief, our professional legal team will provide you with competent legal advice you can trust. To see which options may be available to you, contact us to today to schedule a free, confidential consultation with a Tampa bankruptcy attorney at our firm. Buying a home is an important rite of passage for many, fortunately declaring bankruptcy does not automatically disqualify an individual from this opportunity. Chapter 7 and Chapter 13 are the most common types of bankruptcy filed. Both Chapters leave the debtor with the possibility of getting a mortgage after bankruptcy is complete or while it is taking place, in the case of Chapter 13. Please note, the effects of bankruptcy are different in each case, you should contact a Tampa bankruptcy lawyer before taking any action. A bankruptcy lawyer can provide specific advice and develop a game plan to help rebuild your credit based on your unique circumstances. Difference Between Chapter 7 & Chapter 13 Bankruptcy. Chapter 7 is often referred to as a liquidation bankruptcy, as borrowers may be required to liquidate non-exempt assets as a condition of the Chapter 7. On the other hand, Chapter 13 is a form of bankruptcy in which a consumer consolidates their existing debts into one monthly bill that is paid to a bankruptcy trustee. Unlike Chapter 7 bankruptcy, borrowers will not be required to sell their assets as a condition of the bankruptcy. Rather, Chapter 13 is considered a restructuring bankruptcy because the debtor continues to make payments to their creditors, according to a court approved payment plan. Due to this difference, many creditors view Chapter 13 more favorably than Chapter 7, when evaluating a borrower for a mortgage after bankruptcy. Both Chapter 7 and Chapter 13 have their own unique advantages and disadvantages, you should consult with a bankruptcy attorney for advice on which form of bankruptcy may be best for your case. . The FHA and Veteran’s Association allow a debtor to receive insured mortgages after only two years have passed since the discharge of the bankruptcy. See FHA Regulation 4155.4 In most cases, the discharge of the bankruptcy is completed after filing is complete, the non-exempt assets are liquidated, and as a result the debtor is relieved of all debt. As with most legal issues, the outcome will depend on the specific circumstances of each case. Therefore, you should consult a bankruptcy attorney for assistance on getting a mortgage after bankruptcy. A borrower can become eligible for getting a mortgage after bankruptcy with Fannie Mae after only two years have passed since a Chapter 13 discharge. Moreover, a borrower who has made at least 12 consecutive Chapter 13 payments on time may be given permission from the bankruptcy court to increase their debt. The increase in debt may even include obtaining a new mortgage. For Chapter 7 cases, Fannie Mae will require borrowers to wait at least 2 years after a Chapter 7 discharge to qualify for a mortgage after bankruptcy. At Florida Law Advisers, P.A., we understand that filing for bankruptcy can be a very confusing and intimidating process. That is why we work so hard to make the process as easy as possible for our clients. When you hire Florida Law Advisers, P.A., you have an experienced Tampa bankruptcy attorney by your side throughout every phase of the bankruptcy process. We will help ensure your rights are protected, keep you well-informed, and help you receive the utmost relief bankruptcy can offer. To schedule a free consultation with a Tampa bankruptcy lawyer at our firm call, email, or fill out an online inquiry on our website today. If you are overwhelmed with debt, filing for bankruptcy may help bring some much needed relief. Bankruptcy can allow a borrower to restructure or discharge their debt and emerge from the bankruptcy with a fresh start. In many cases, bankruptcy will cause a credit score to increase. By discharging bad debts and getting a fresh start, you may see a significant increase in your credit score. For more information on how bankruptcy affects credit scores, contact a Tampa bankruptcy lawyer. There are many different types of bankruptcy filings, each with their own set of advantages and disadvantages. Therefore, if you are considering filing for bankruptcy you should consult with an experienced Tampa bankruptcy lawyer before taking any action. Chapter 13 is considered a restructuring bankruptcy because the debtor continues to make payments to their creditors according to a court approved payment plan. Unlike Chapter 13 bankruptcy, Chapter 7 does not involve a payment plan. Instead of making monthly payments to creditors, the bankruptcy trustee will liquidate a debtor’s assets and use the proceeds of the sale to pay the creditors included in the bankruptcy. Fortunately, not all of a debtor’s assets will be subjected to liquidation by the bankruptcy trustee. One important factor to consider before filing for bankruptcy is the impact it may have on your credit score. While it is difficult to predict with certainty how bankruptcy affects credit scores, an experienced bankruptcy attorney in Tampa can help to advise on which type of bankruptcy may be best for your specific situation. It is difficult to say with certainty ho bankruptcy affects credit scores because credit scores are based on a multitude of factors. One of the factors that determines the credit score is the amount of amount debt a person has. Bankruptcy can assist with this factor by discharging debt a borrower may otherwise be obligated to pay. 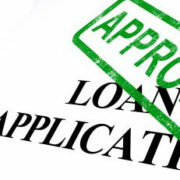 Another factor is open credit accounts with late payments, these accounts can significantly reduce your credit score. Fortunately, bankruptcy can assist with this aspect as well. If the account (credit card for example) is discharged in bankruptcy the account will be closed and should no longer be reported as an open delinquent account. For more information on how bankruptcy affects credit scores and how the score is calculated click here. At Florida Law Advisers, P.A., we understand that filing for bankruptcy can be a very confusing and intimidating process. That is why we work so hard to make the process as easy as possible for our clients. When you hire Florida Law Advisers, P.A., you have an experienced Tampa bankruptcy attorney by your side throughout every phase of the bankruptcy process. We will help ensure your rights are protected, keep you well-informed, and help you receive the utmost relief bankruptcy can offer. To schedule a free consultation with a Tampa bankruptcy attorney at our firm call, email, or fill out an online inquiry on our website today. Under Florida divorce law, when a couple gets a divorce the court will order an “equitable distribution” of the martial assets and liabilities when they need to figure out how to divide marital property in Florida. The first step in answering how to divide marital property in Florida is to classify each asset and debt as either marital or separate property. Only marital property/ debt is subject to equitable distribution by a court; separate property will remain the property of the spouse who owns it. This may seem very straightforward but it can be a very complicated process. For instance, if separate property is comingled with marital property, the separate property may also have to be divided amongst the parties by the judge. Therefore, you should seek the advice of a Tampa divorce lawyer if you need assistance. There are three distinct categories of commingling: strict transmutation approach, tracing approach, and intent of the parties. Each category has its own set of requirements and rules regarding the distribution of the property. For more information on distribution of marital property in divorce and commingling of assets contact a Tampa divorce lawyer for legal advice. The strict transmutation approach is one method for how to divide marital property in Florida. Under this method, any commingling of assets, such as the transfer of that asset into a marital asset maybe considered comingling without considering any other facts. An example is when money gained during the marriage is mixed with money gained from non-marital stock holdings. By placing separate/non-marital stocks into the same account as marital stock, it is transformed and all money in the account becomes part of marital assets. See Abdnour v. Abdnour. Any method for how to divide marital property in Florida is the tracing method.This approach adopts the view that if it is possible to trace the separate assets (usually money) to their origins, they remain separate property. An example would be if one spouse held an account solely in their name, only deposited pre-marital earnings into the account, and only those earnings to pay pre-marital related expenses. In this scenario, it is simple to trace the origins and uses of the money in the account. If there is any comingling of pre-marital funds with the use of marital expenses or marital assets it becomes too complicated to trace and the account will likely be considered marital property. See Terreros v. Terreros. The third approach for how to divide marital property in Florida is the intent of the parties approach. This category is the least consistent because it requires the court to determine what the intent of the spouse was when separate and marital assets were combined or property was given to the other spouse. If the Judge feels the spouse never intended to mix assets or give a gift, the asset will not be considered marital property and divided in the divorce case. See Lakin v. Lakin. In divorce cases involving this approach, it is important to have a divorce lawyer in Tampa at your side. A skilled divorce lawyer in Tampa can make a big difference in how the judge classifies marital property. If you are contemplating filing for divorce and are concerned about keeping your fair share of the assets call us today to speak with a divorce attorney in Tampa. At Florida Law Advisers, we utilize the power of effective negotiations to help save time, money, and stress for our clients. However, when the issues cannot be resolved through negotiations, we are prepared to go to court and fight aggressively for what our client deserves. With years of experience in divorce litigation we are more than ready to present a compelling case on your behalf and to stand firm for what is fair. To speak with a divorce attorney in Tampa call us at 800 990 7763, we are available to answer your call 24/7. After being named as the defendant (party being sued) by the plaintiff (party suing), the defendant has 20 calendar days (weekends included) to respond to the summons. See Florida Rules of Civil Procedure. 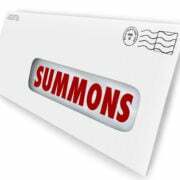 The summons serves to notify the defendant they are being sued and need to defend themselves to the court. There are two types of default that may be entered, Clerk’s Default or Judicial Default. Failure by the defendant to respond within 20 days may result in a clerk or judicial default judgment being entered against them. Therefore, you may be able move forward with a default divorce in Florida if the other party does not respond timely to the divorce case. For assistance with a default divorce in Florida contact a Tampa divorce lawyer. After default has been entered, judicial or clerk, it is possible to have the default set aside. See Federal Rule of Civil Procedure. However, the requirements to set aside a default can be very difficult to satisfy without the assistance of skilled Tampa divorce lawyer. Further, each case is different and the facts of each case play an important role in determining if a default can be set aside. Therefore, you should consult with a divorce attorney in Tampa for more information about your specific case. 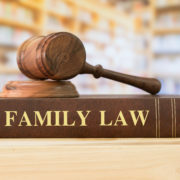 Generally, Florida divorce law requires three elements be shown in order to set aside default judgment; excusable neglect, meritorious defense, and due diligence. Failure by the defendant (person the default was entered against) to prove all of these elements will result in the default being upheld. See Schwartz v. Business Cards Tomorrow, Inc. If the default is not vacated, the defendant will be treated by the law as admitting all of the plaintiff’s allegations and be barred from raising defenses to the lawsuit. In order to successfully have a default set aside, a defendant must first show there was excusable neglect. Excusable neglect means there was a legitimate reason for the failure to answer the summons within the 20-day timeframe. Lack of knowledge of the law or rules is not excusable neglect. Common examples of excusable neglect include a major life emergency, hospital stay, or an illness or psychological condition if the condition clearly interfered with the defendant’s ability to answer the summons on time. See Elliot v. Aurora Loan Services. The second requirement to overturn a default divorce in Florida is to properly allege a meritorious defense. In order for the defense to meet the requirement it must be made in a pleading or affidavit. See Yelvington Transport, Inc. v. Hersman. For assistance with drafting a formal pleading or affidavit for your meritorious defense contact a divorce attorney in Tampa for legal counsel. Lastly, in order to have default divorce in Florida set aside, a defendant must show they used due diligence in responding quickly when they learned default had been entered. Again, because there is no bright line rule for determining if default may be set aside, the facts of each case play an important role. For this reason, it is important to consult an experienced attorney. A default divorce in Florida can be helpful but it may not resolve all the issues in your case. There are limitations on the type of relief you can receive in a default divorce in Florida. For more information about Florida divorce laws concerning a default divorce in Florida contact a Tampa divorce lawyer for assistance. If you have been served with a lawsuit, such as a divorce petition or any other type of lawsuit contact Florida Law Advisers, a Tampa divorce law firm to speak with a divorce lawyer in Tampa. Every case is different, and our vast experience allows us to cater our services to each client’s individual situation. We offer a free initial consultation and flexible payment options. To speak with a Tampa divorce lawyer call us today at 800 990 7763, we are available to answer your call 24 hours a day, 7 days a week.